Barn shed plans will never go wrong as long as one has the profound background in building barn storage sheds. Before finalizing any storage shed plan, it is necessary to determine first the area in the barn where the storage will be placed. Shed plans should also contain the frame structure as well as the materials to be used for the shed. Another part of the barn shed plans is the design of the roof. A gambrel roof with heavy kind of materials is advisable for barn storage sheds since such is situated outdoors. 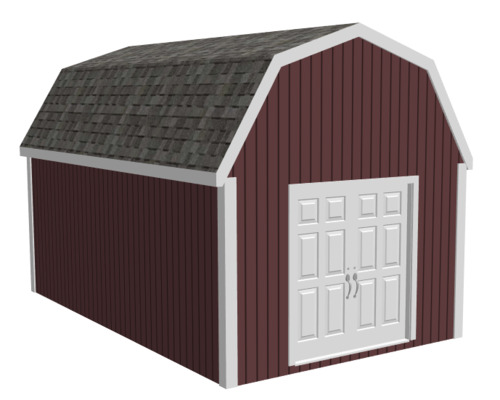 These Complete Gambrel Roof 10' x 12' Barn Style Shed Plan is very affordable for only $9.99.